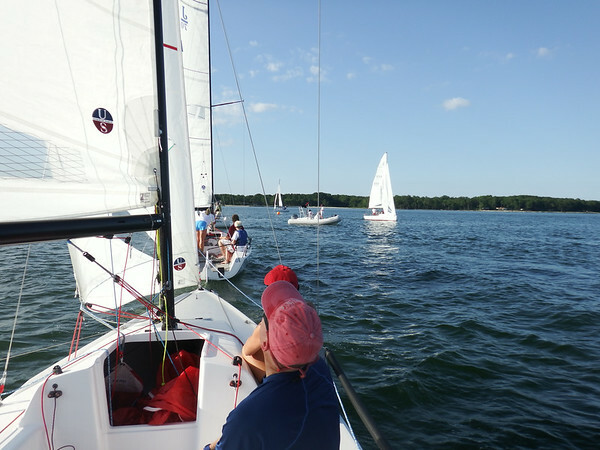 Saturday was a beautiful day for J/70 racing with 8 boats on the line and 4 races sailed. 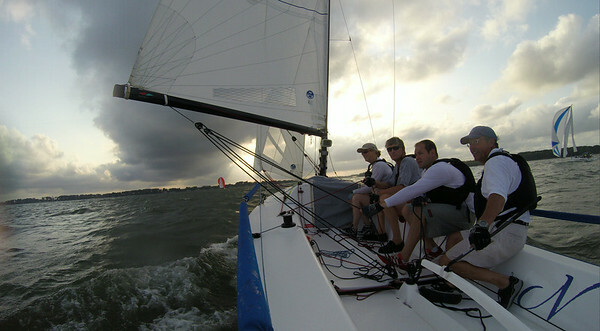 We got out to a good start putting up 2 3rd places and then fell a little bit as the wind eased. 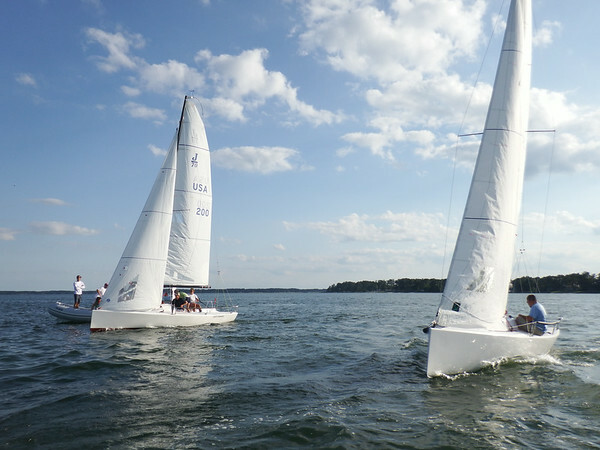 We had another great night of J/70 sailing at Fishing Bay Yacht Club on Friday with 5 boats out and a nice 5-8 easterly wind. 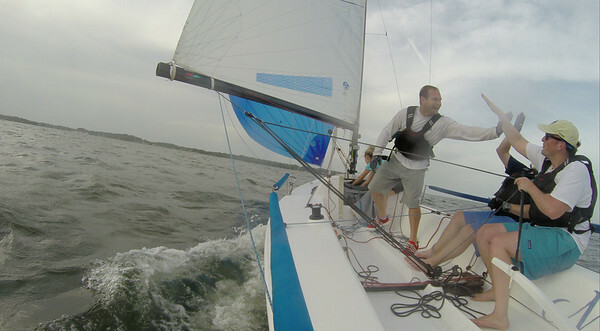 I sailed on Mike Karn’s Inconceivable along with Jim and Carrie. 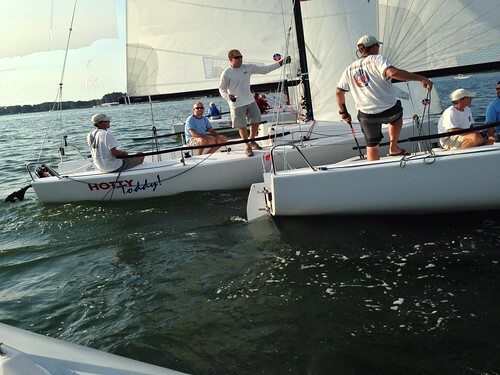 We started the July 4 weekend with some J/70 racing at Fishing Bay Yacht Club. 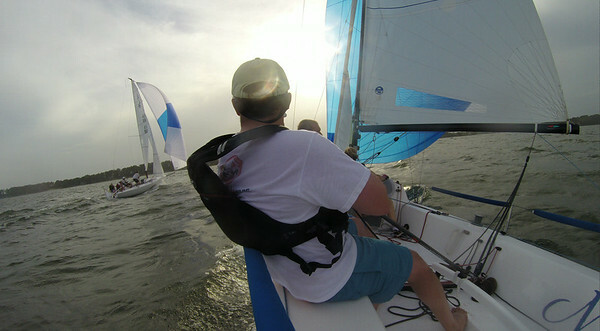 We had 6 boats out in 12-16 knots of wind for a few races. 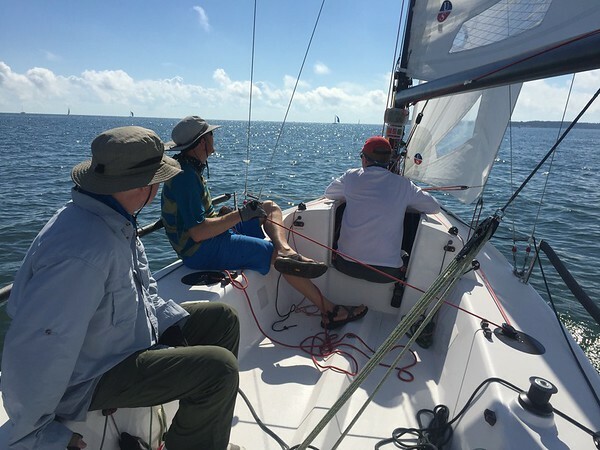 I was on Nostalgia with Blake Kimbrough, Julia Page and Tommy Roper. 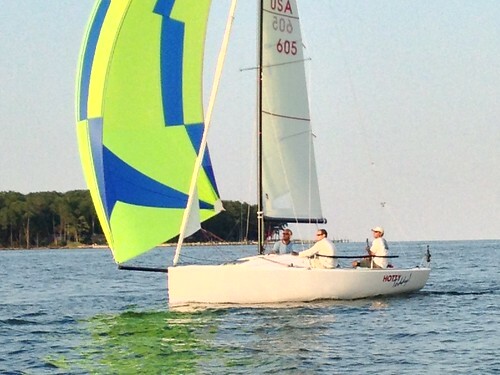 This photo was right after we finally got a correct spinnaker set. It only took us 4 laps to get it right. 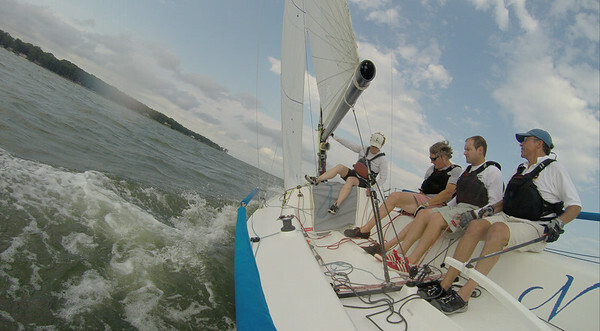 On the plus side we got a lot better at outside gybes. 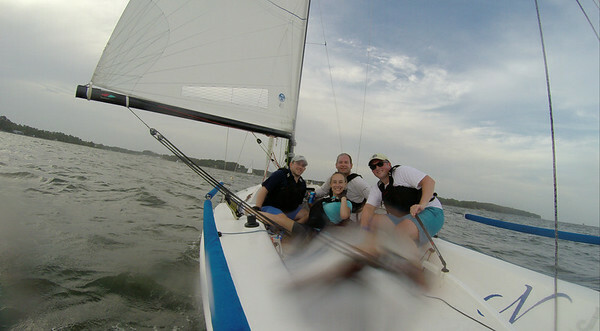 We had a great night of J70 sailing at Fishing Bay Yacht Club. 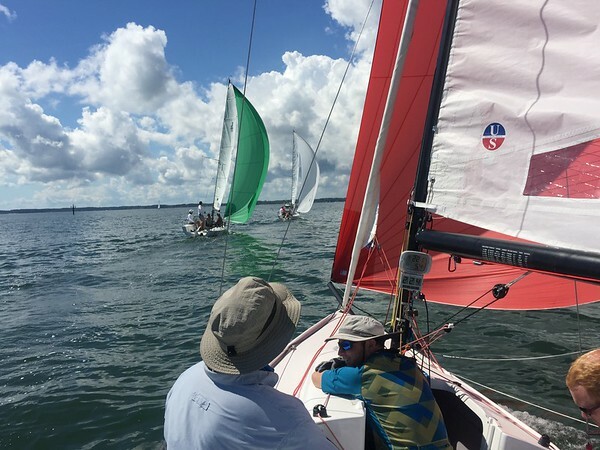 With 7 boats out we got 2 nice long races in 15-18 with some nice swells from the east wind. Thanks to Lud and Nostalgia Racing for having me along. 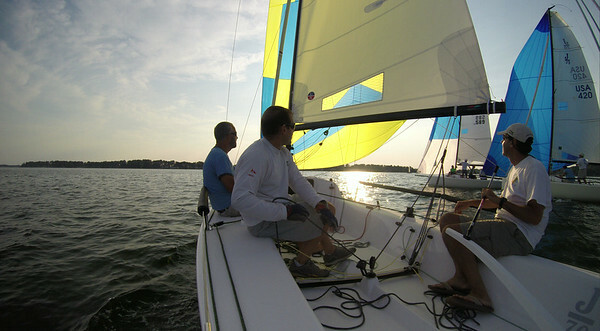 This evening I ran some races for a couple of J/70’s out practicing at Fishing Bay Yacht Club. What a beautiful night and a great way to start the weekend!